TEHRAN (Tasnim) – Supreme Leader of the Islamic Revolution Ayatollah Seyed Ali Khamenei slammed the US as the "true embodiment of arrogance", stressing that the Islamic Republic's fight against the global arrogance and hegemony will never come to a halt. 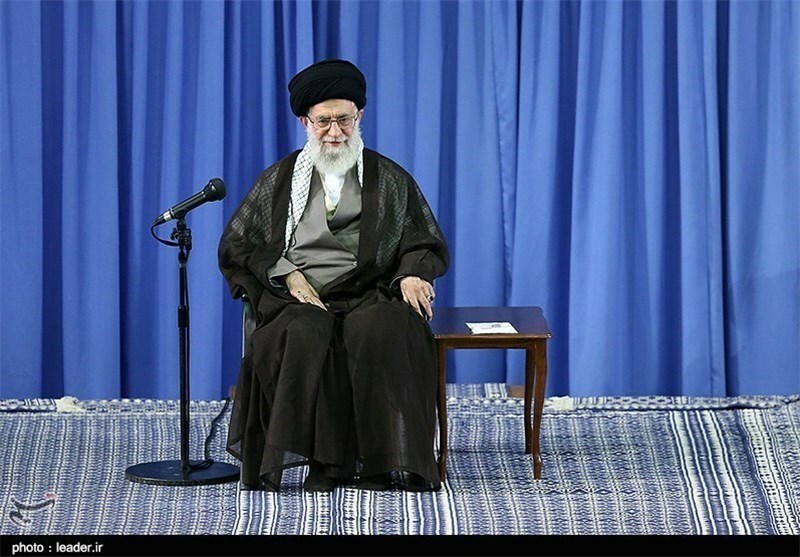 "Based on Quranic tenets, the battle against the arrogance and hegemonic system could never be interrupted, and today, the US is the clearest embodiment of arrogance," Ayatollah Khamenei said in a gathering of Iranian university students in Tehran on Saturday. The Leader made the comments after a student asked about the future of the fight on arrogance following completion of the nuclear talks between Iran and the Group 5+1 (Russia, China, the US, Britain, France and Germany). "Fighting the arrogance is among the fundamentals of the (Islamic) Revolution and is a basic task; therefore, be prepared for continuing the battle against arrogance," the Leader told the students. Pointing to the nuclear talks between Iran and the six nations, the Supreme Leader reiterated that the negotiations relate only to the nuclear issue, although the US seeks to raise some other subjects. "We have also told the negotiating officials that you are allowed to negotiate only on the nuclear issue, and although the American side sometimes raises regional issues, such as Syria and Yemen, our officials say we do not negotiate over these issues," Imam Khamenei stated. The Leader explained that "the root cause of the global bullying powers' hostility towards the Iranian nation is the Islamic Republic's rejection of the system" which is based on hegemony. 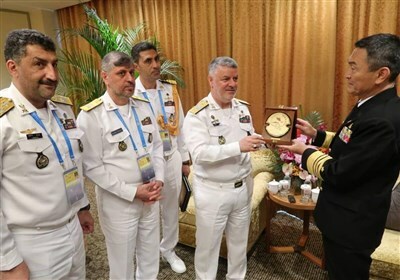 Elsewhere in his statements, Ayatollah Khamenei hailed Iran's "astonishing and spiritual presence and influence" in the region, adding, "We have news that Americans and the region's reactionaries confide in each other about Iran's influence in the region in their covert meetings, but there is nothing they can do about it." The Leader's remarks came amid a decisive round of nuclear talks between Iran and the Group 5+1 (also known as the P5+1 or E3+3), underway in Austria. Diplomats from Iran and the six other countries are engaged in tight meetings in Vienna to clinch a lasting deal on Tehran's nuclear program. Over the past two weeks, they have three times extended deadlines for completing a long-term nuclear agreement. Negotiators have given themselves until Monday to clinch the long-awaited deal.